As Bees in Honey Drown has three remaining performances at the Farmington Players Barn Theater from February 21 – 23. The show is proudly sponsored by Ameritax Plus. 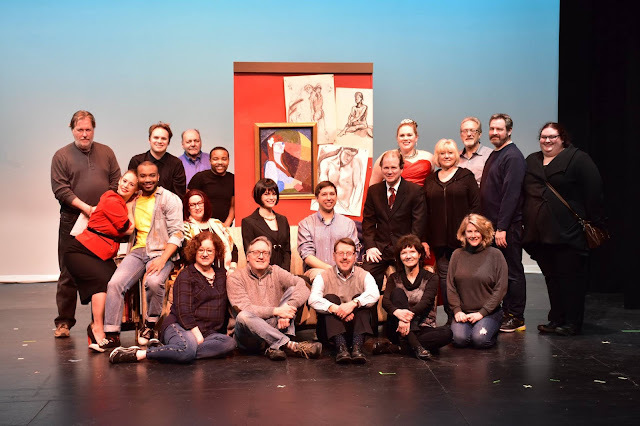 Tickets are available online at farmingtonplayers.org or by emailing boxoffice@farmingtonplayers.org or calling the Barn box office at 248-553-2955. 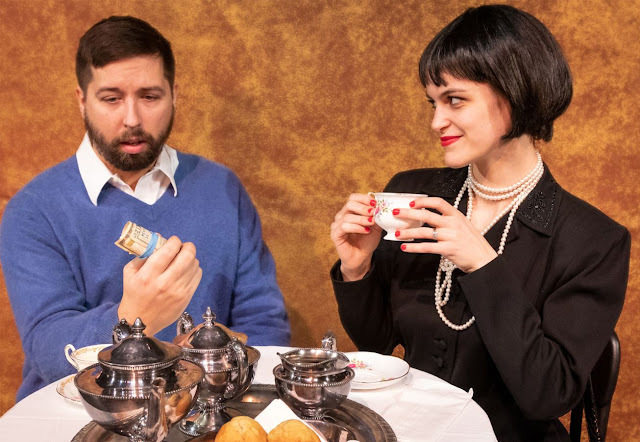 In the Farmington Players production of Bees, Hosanna Phillips plays Alexa, who she describes as “a fantastic character because, whether you want to hate her, love her, or pity her by the end of the show, she will have made you think about something. As an artist, that is all you can really hope for in a character.” Hosanna loves playing an antagonist character and discovering the real person inside, saying, “Almost always, you will find that they started off as a victim of something (even if their victim status is only in their own mind). Any well-developed character is in some way a relatable human being, and I love to discover what it is about a character that drives them to be how they are.” For example, Alexa justifies conning artists because she can’t respect an art world that values its creators only once they’re dead. 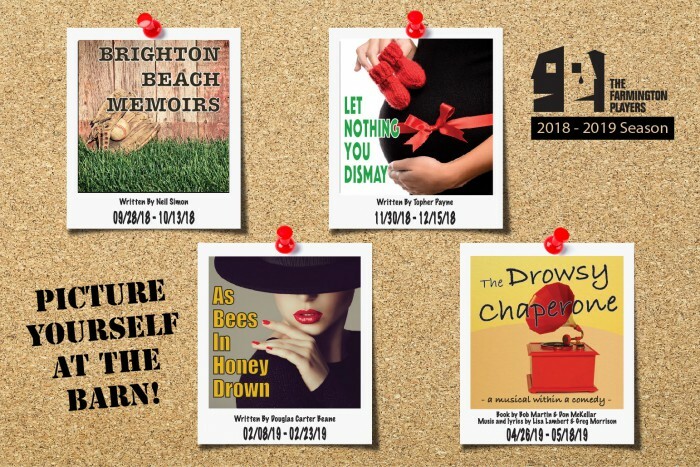 As Bees in Honey Drown has nine performances at the Farmington Players Barn Theater from February 8 – 23. The show is proudly sponsored by Ameritax Plus. Tickets are available online at farmingtonplayers.org or by emailing boxoffice@farmingtonplayers.org or calling the Barn box office at 248-553-2955.